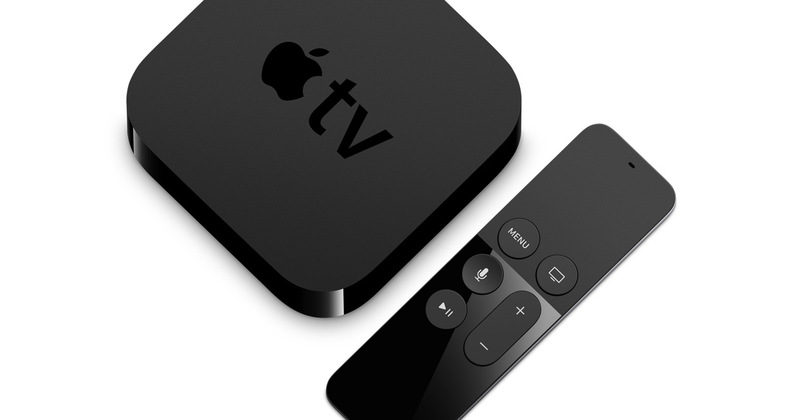 A little over a month has passed since the moment when appeared the App Store in tvOS, together with the fourth generation Apple TV. How successful was the new product? Experts from AppFigures managed to get hold of some exclusive data. As of 3 December on the App Store on Apple TV 2 it 624 application. For comparison, a month ago in the app store was less than 500 programs, but the developers have intensified and are constantly releasing new products. 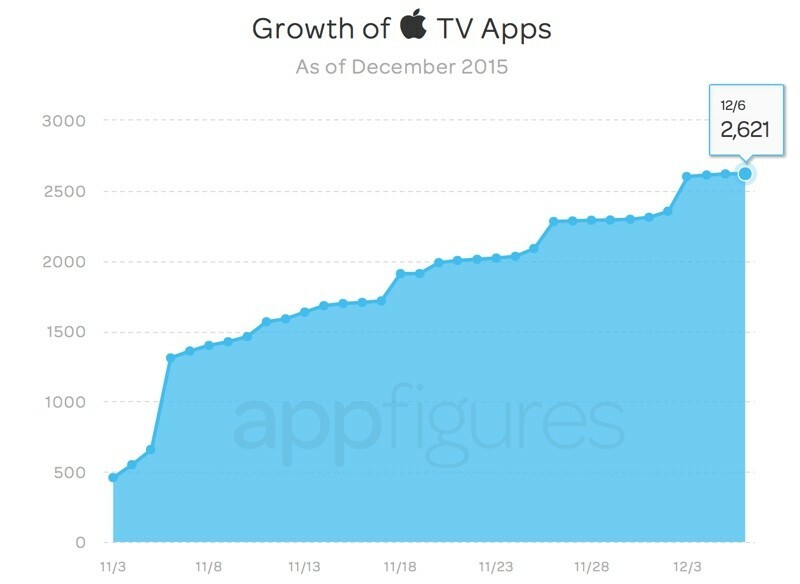 App Store for Apple TV follows the success of the app store for iOS launched in 2008 with 500 applications. After just four months there were already almost 10 thousand applications, and when six months passed, the number of programs has reached 15 thousand. 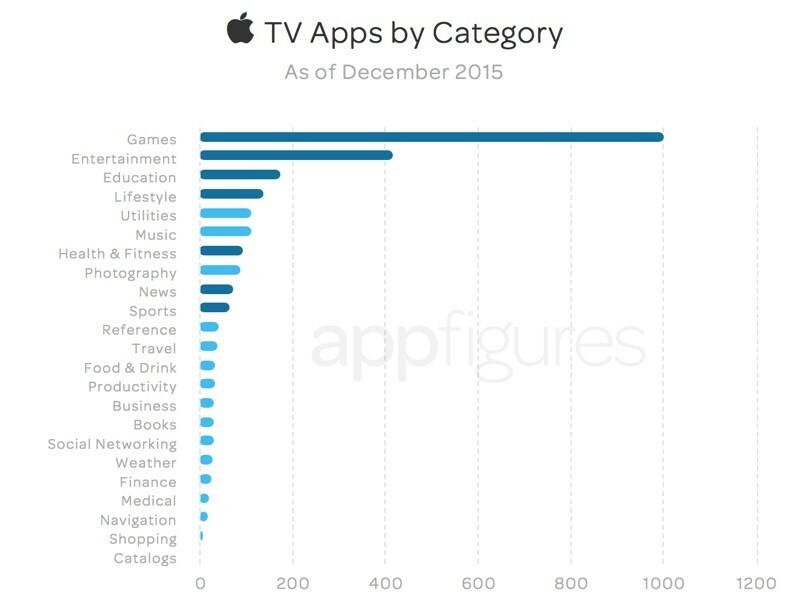 According to analysts, in the first quarter of 2016 for the Apple TV will also be about 10 thousand programs. While most apps currently in the sections “Games” and “Entertainment”, but the application of the categories “Social networking”, “Shopping”, “Navigation” was the end of the list. As for pricing, we are leading app for 0.99 dollar and 1.99 dollar (59 and 119 rubles rubles, respectively). Much less popular were programs for the price of 4,99 dollar and above. Already managed to get a brand new Apple TV?